Ovarian reserve refers to the availability of eggs within the ovary. When an ovary forms, there is a fixed number of eggs that are available for ovulation. The eggs remain in a state of arrest throughout life. An egg becomes active from within the egg itself. Once activated, an egg can respond to hormones. Hormones cause the egg to grow and mature, and ultimately ovulate. If an egg becomes active before puberty, or at the wrong time of the menstrual cycle, the egg will die. Eggs are being lost constantly, starting from the time the ovary forms. It is estimated a woman starts with 4 to 5 million eggs when the ovary forms, and there are approximately 2 million eggs at birth. The eggs continue to become available constantly, and by puberty, there are approximately 400,000 eggs remaining. Menstrual cycles are caused by eggs becoming active and responding to follicle stimulating hormone (FSH). Only active eggs can respond to FSH. As eggs start to grow, the FSH levels decline slightly causing most activated eggs to die off, leaving only one dominant follicle. A follicle is a fluid sac in the ovary that contains an egg. Fertility medications take advantage of the activated eggs and will not affect dormant eggs. Fertility medications will not cause a woman to use up her eggs any faster as they are only affecting the activated eggs. Women that don’t ovulate will continue to lose eggs because they are still becoming active but don’t have the hormone signaling needed to allow the eggs to grow and ovulate. A younger woman, in general, will have a higher ovarian reserve than a woman approaching menopause. Lower doses of fertility medications can cause more eggs to develop in someone with a higher ovarian reserve. Ovarian reserve primarily predicts the number of eggs that may be available during an IVF treatment, but does not directly predict egg quality. There is some association between lower ovarian reserve and declining egg quality, but many women with very low ovarian reserve are able to become pregnant naturally or with the assistance of fertility treatments. Aggressive fertility treatments should be considered because ovarian reserve will typically continue to decline. Using multiple egg collections and banking embryos before transferring is a strategy that can be used to help store additional embryos that can be used in the future. Stored embryos are not affected by the length of time they are frozen and can be used for frozen embryo transfer cycles many years later. This can be useful for someone with low ovarian reserve wishing to have more than one baby. The delay caused by pregnancy and subsequent breast feeding may result in a 1-2 year delay and further decline in ovarian reserve and genetic health of the eggs. Fertility preservation and egg freezing is becoming more popular as freezing techniques improve and more women are aware of the effects of advancing age on fertility. By having eggs collected and frozen, a woman can preserve eggs from her younger years and use them in the future. The ability of the eggs to form a normal embryo is tied to a woman’s age at the time the eggs are collected, not when they are used. In short, a woman can donate eggs to herself in the future. If a woman age 34 was to freeze her eggs, she could return at any age in the future and attempt pregnancy with eggs from age 34. Even if she was to save the eggs until age 45 or 50, she would have eggs from age 34. Egg freezing can be used in multiple scenarios. Women facing cancer treatments are able to have eggs collected with 2-3 weeks of medications. This helps protect against the potential loss of eggs from chemotherapy or radiation. Additionally, cancer treatments may take many years to complete and advancing age will also take a toll on her fertility potential. Fertility preservation with egg freezing, or oocyte cryopreservation, can also be used to delay child bearing for school, or even in cases where a woman hasn’t met the right reproductive partner. Freezing eggs can relieve some of the stress of the biologic clock and preserve her fertility for later years. Even women who ultimately conceive with a partner can benefit from frozen eggs. By keeping the eggs frozen, she can enjoy natural conception with the security of having eggs stored for later in life. In the event of an unexpected divorce, frozen eggs can give many women in their later years the option of conceiving again. Even with the same partner, women desiring to have a baby at age 40, would have the option of using her stored eggs with a higher chance of success and a much lower risk of an abnormal pregnancy. There are several ways to measure ovarian reserve. Day 3 FSH levels have been used commonly to test ovarian reserve in the past. A Clomid Challenge Test is another type of test that was used more frequently in the past. Newer methods of testing ovarian reserve include antral follicle count (AFC) using an ultrasound and anti-mullerian hormone (AMH) assays. The antral follicle count and anti-mullerian hormone can help predict they potential number of follicles that may be produced during fertility treatments. AMH levels may also be used to measure the potential reduction in ovarian reserve after chemotherapy or radiation therapy for cancer. Elevated FSH values, low AMH values, and low antral follicle counts are indicators of diminished ovarian reserve (DOR). Many women are familiar with the concept that their biologic clock is ticking. Ovarian reserve testing is one method of trying to tell time on this biologic clock. Advancing age is also associated with a decline in the genetic health of the eggs. Together, declining ovarian reserve and declining genetic health of the eggs with result in lower chances of success with any form of fertility treatment. Women over the age of 35 are advised to seek information from a fertility expert after 6 months of attempting pregnancy without success. 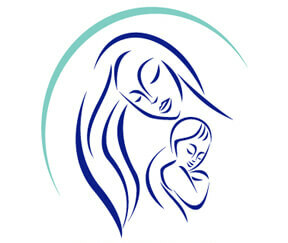 Our physicians have been able to achieve pregnancy for many women with diminished ovarian reserve. Many of these patients have been told by other clinics they would not be able to achieve a pregnancy using their own eggs, or were turned away for fear of reducing a clinic’s reported success rates. At California IVF, patients are not denied treatment on the basis of diminished ovarian reserve. Our physicians will make sure you understand how DOR may affect your overall chances of success. There are strategies to collect eggs multiple times to increase the opportunity to find quality embryos for use now or in the future. Advancing age and declining ovarian reserve can be difficult to overcome. Patients should also evaluate the options available using donor eggs and donor embryos so they can make an informed decision about their fertility future. Patients facing advanced reproductive age or diminished ovarian reserve may benefit from fertility preservation through embryo banking. With recent advances in freezing technology, embryos survive the freezing and thawing process approximately 95% of the time and retain their ability to initiate a pregnancy. The younger a woman is when her eggs are collected, her chances of success are generally better. When a woman achieves a pregnancy and has embryos frozen, she can return to the fertility clinic years later and use her frozen embryos to try for another pregnancy. These frozen embryos will have a probability of success based on the woman’s age when the embryos were frozen, not when she uses them. By storing additional embryos before pregnancy, couples are preserving their fertility and protecting against the harmful effects of advancing age. In some cases, patients choose to collect eggs on more than one occasion so they will have extra embryos left over. Typically 18 months to 2 years will pass between children. A woman at age 36 would often attempt another pregnancy at age 38. These two years can make a big difference in the rate of genetic mistakes in the embryos. With extra embryos frozen, the same woman could return at age 40 or 45, and still have the same chance of success as when she was 36. The notion of fertility preservation through embryo banking is certainly worth considering now that cryopreservation technology has evolved to give us fantastic rates of success. Our physicians are happy to discuss this in more detail during your initial consultation.